The Advanced IED Electronics course is designed to give the EOD Tech a solid foundation in electronic components as it relates to IED's and IWMD's. Attending a solid WMD training course is critical but generally doesn't cover how these devices would function. Combined with your WMD knowledge, this course can give you the full view of how a terrorist can disseminate an IWMD using low tech or the highest technology available through State Sponsored Terrorism. This is a 3 day course of instruction with an optional 4th day for attendees to build and exploit their IED's with their own tools. All attendees will receive a tool kit that is theirs to keep. We supply all needed components and materials for the Techs. This class can be taught in Nashville, Huntsville or at your command training facility. All Electronics attendees will receive their own tool kit a certificate of completion. 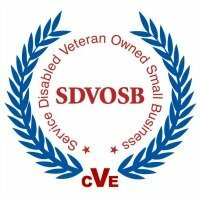 Our clients include USAF EOD and DHS BAO's from 3 states. Please fill out the form below to begin the process so that we may get you a realistic quote for this training. The quote does include the attendees tool kit that they get to keep.